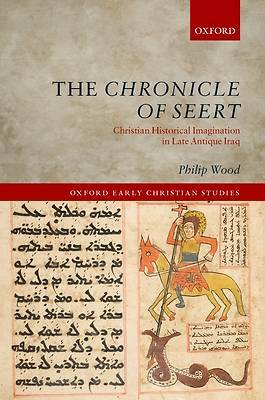 This monograph uses a medieval Arabic chronicle, The Chronicle of Seert, as a window into the Christian history of Iraq. The Chronicle describes events that are unknown from other sources, but it is most useful for what it tells us about the changes agendas of those who wrote history and their audiences in the period c.400-800. By splitting the Chronicle into its constituent layers, Philip Wood presents a rich cultural history of Iraq. He examines the Christians' self-presentation as a church of the martyrs and the uncomfortable reality of close engagement with the Sasanian state. The history of the past was used as a source of solidarity in the present, to draw together disparate Christian communities. But it also represented a means of criticising figures in the present, whether these be secular rulers or over-mighty bishops and abbots. The Chronicle gives us an insight into the development of an international awareness within the church in Iraq. Christians increasingly raised their horizons to the Roman Empire in the West, which offered a model of Christian statehood, while also being the source of resented theological innovation or heresy. It also shows us the competing strands of patronage within the church: between laymen and clergy; church and state; centre and periphery. Building on earlier scholarship rooted in the contemporary Syriac sources, Wood complements that picture with the testimony of this later witness.